Last Saturday Grant had to go to Geelong for the day and so I took the chance to go birding for the day while he was hard at work. The big downside to the trip was getting up at 05:30am and being dropped off at 07:30am with a pick-up time of 17:30pm. 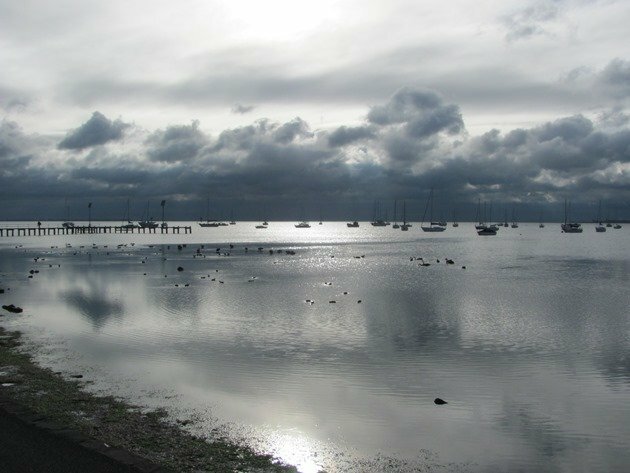 The weather was predicted to warm up, but believe me it was not particularly pleasant on the coast when I was left at Rippleside Park. I noted the absence of people and those that were out were wrapped up well like me! Thankfully I had a flask of hot drink, but there are no warm seats on the coast at 07:30am! 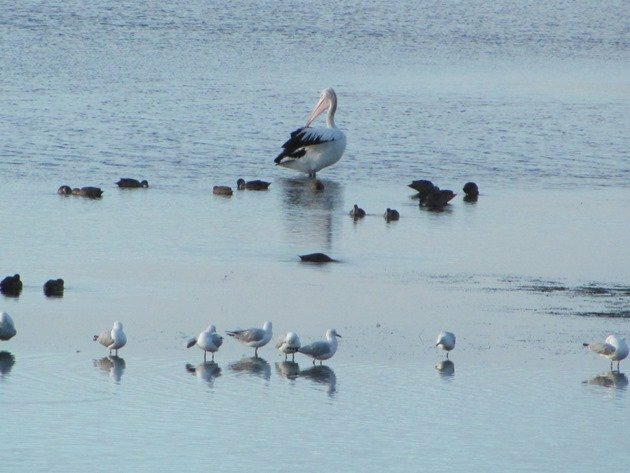 I watched the Australian Pelican, Chestnut Teal and Silver Gulls in the shallows whilst I had a warm drink. The big bonus was that there were several flocks of Musk Parrots, which was a first for my year list. They appeared to be roosting near Rippleside Park and flew towards the city calling loudly with the bright green colour of their feathers displaying nicely across a blue sky. 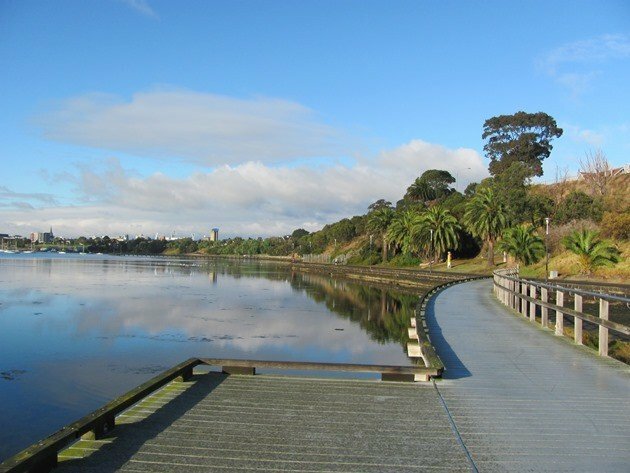 The path/promenade leads from Rippleside Park all the way to the city and then beyond to Eastern Park and because I had ample time I would walk there and back. 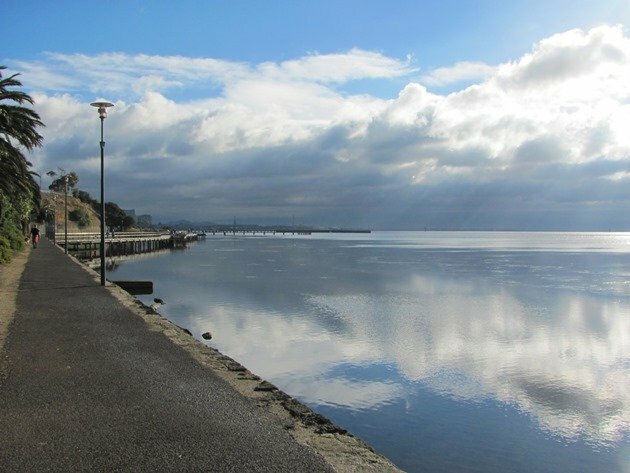 The photo above shows the path leading towards the city from Rippleside Park. Here is the path looking back and the ominous weather out over the bay. 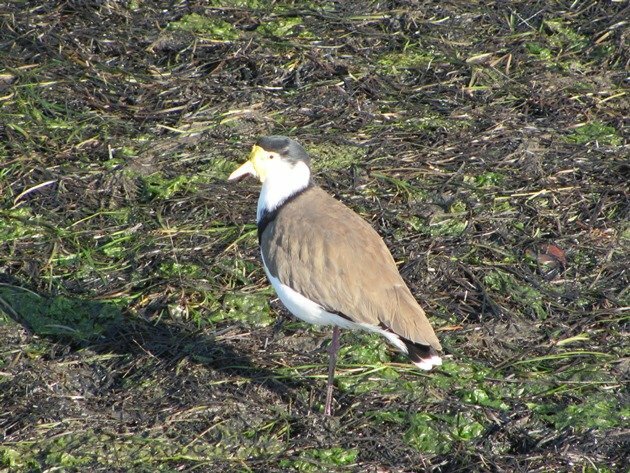 The other noisy birds first thing were the Masked Lapwings stood on the edge of the bay and they called raucously as you walked by. 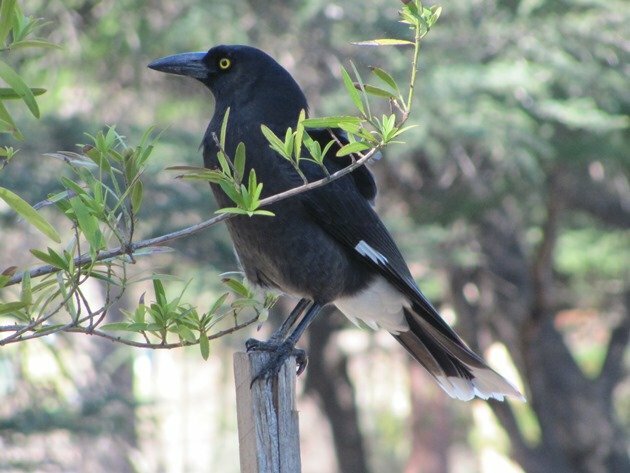 They are a different species to those that we have at home in Broome and have a lot more black colouring on their breast. The New Hollands Honeyeaters were busy feeding on the flowering gum trees and Welcome Swallows swooped over the water. 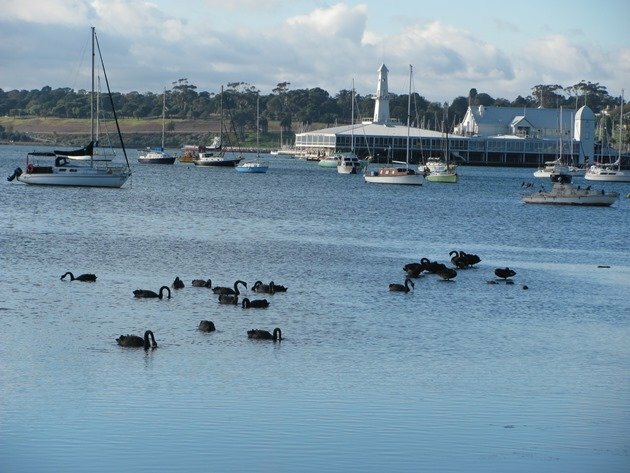 As I got closer to Geelong there were several groups of Black Swans in the shallows feeding. Closer to the pier the majority of posts had a Little Pied Cormorant perched on top and they also appeared unsure of the weather forecast! In fact the Little Pied Cormorant was looking at the view below and had a good reason to be suspicious about the prediction of the shower only coming late in the day! Black Swans and Chestnut Teal in the early morning weather! 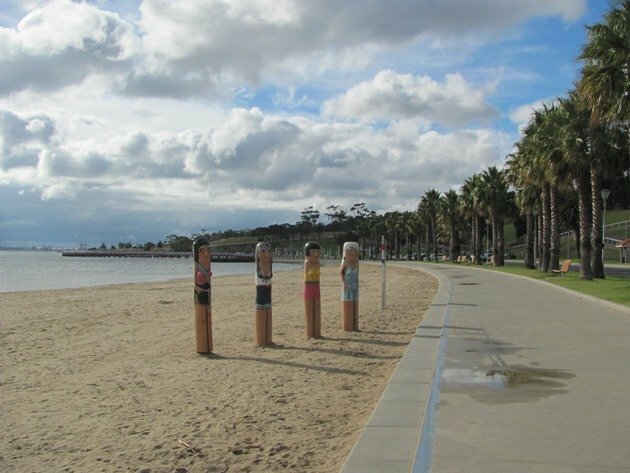 One of the main features of the walk in Geelong is the bollards that line the shoreline. They were commissioned in 1995 to use reclaimed pier pylons in an interesting way. There are 104 of these artistic bollards and each group has a rabbit painted on it somewhere for children to find! 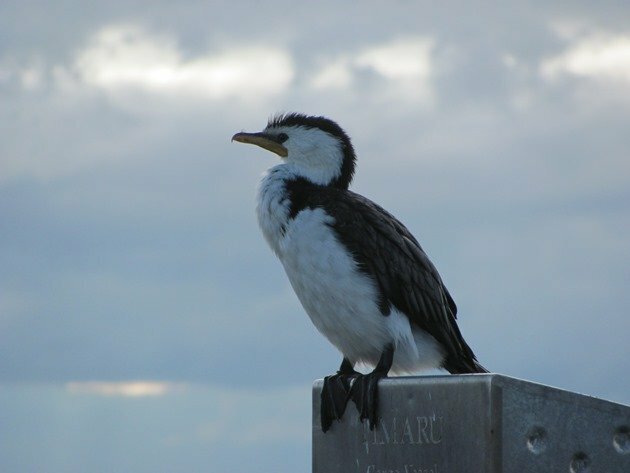 I was interested in any with birds on and this particular one below is at Cunningham Pier. It represents a captain bringing live birds to add to the bird collection at the Botanical Garden! It appears to be a Major Mitchell Cockatoo in his cage. 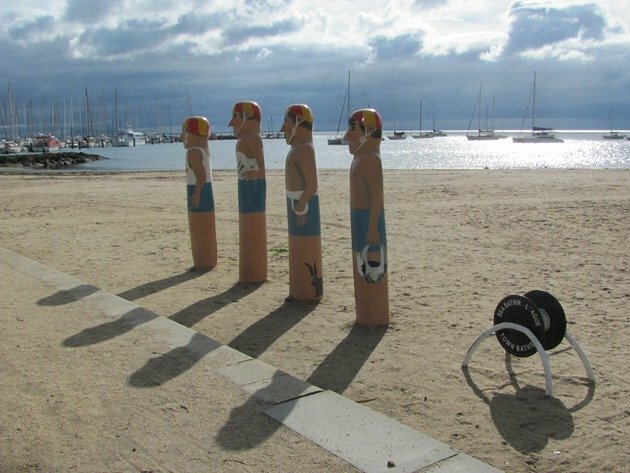 The following bollards show a group of life-savers and one on the right appears to be carrying a Pacific Gull. You can see one of the rabbits on the second bollard from the right. That sky does look rather threatening, but once you look the other way it appears fine! So fine that the bollards are dressed in bathing costumes! 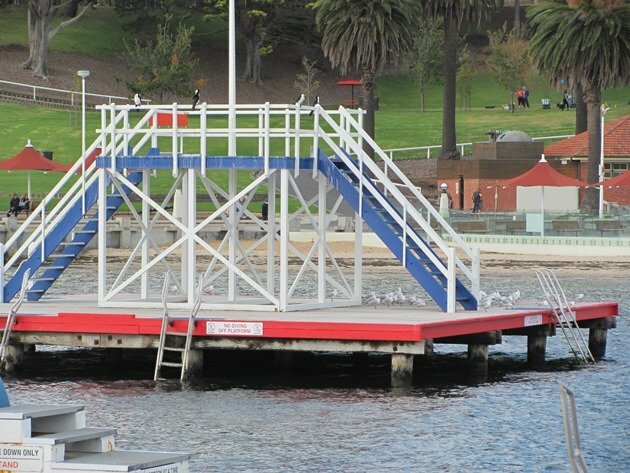 I continued on towards Eastern Park and there is an excellent swimming area utilising the sea with a variety of diving boards and platforms. Oddly, only the Silver Gulls and Little Pied Cormorants were interested in using it on Saturday! 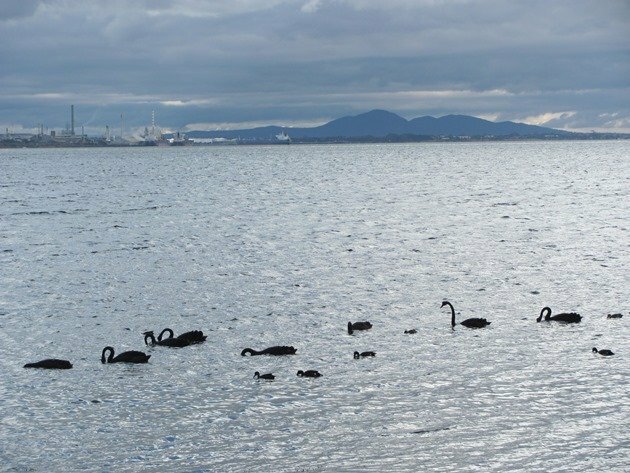 As I headed towards Limeburners Point there were more threatening clouds out across the bay with the You Yangs in the distance behind another flock of Black Swans. 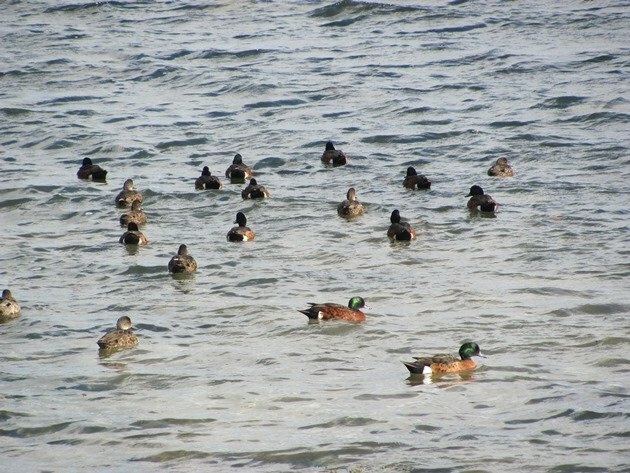 The next large flock of birds were Chestnut Teal and they were very prolific around the coast at Geelong last Saturday. The occasional ray of sunshine caught the lovely green heads of the male birds. 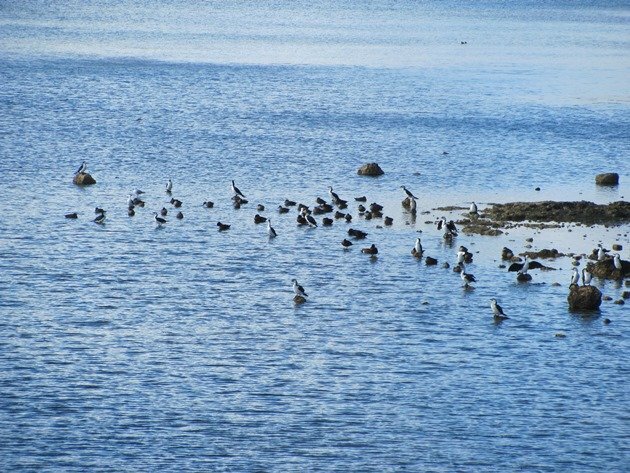 I went around the corner to look across Stingaree Bay and there were a large number of Little Pied Cormorants roosting there and further flocks of birds all along the coastline. 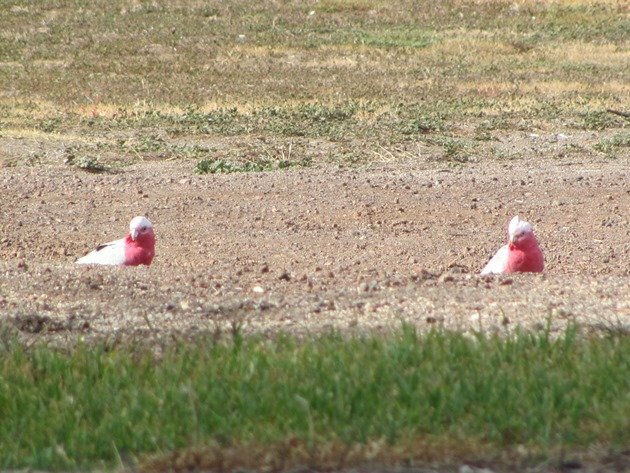 I then headed up into Eastern Park and there was a flash of pink on the ground and a pair of Galahs showed themselves briefly and then flew on into the park. As I climbed up the slope to Eastern Park I became aware of quite a commotion and then a smell that was very pungent. It wasn’t long and I found the source of it all. 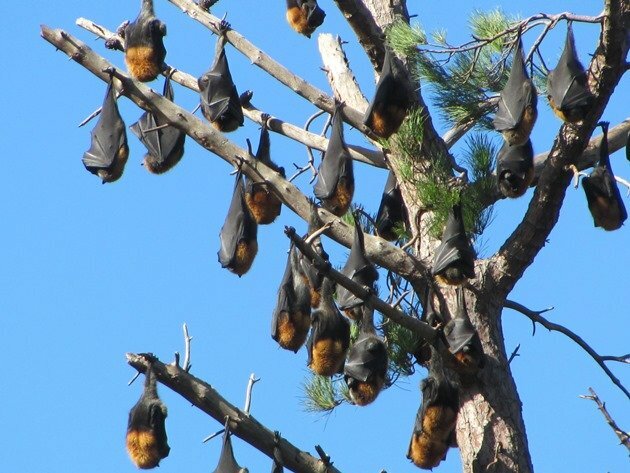 There has been a large colony of Fruit bats living at the park since 2003 and they are high up in the trees trying to attract each other with their pungent smell. By now I was in sunshine and so were the Fruit bats! It didn’t take too much to convince me to keep moving out of that area due to the smell! I was also aware of a couple of men with a large lens facing upwards near the Convention Centre carpark and headed over there. There’s no point in being shy if you see strangers carrying large cameras and wearing binoculars! 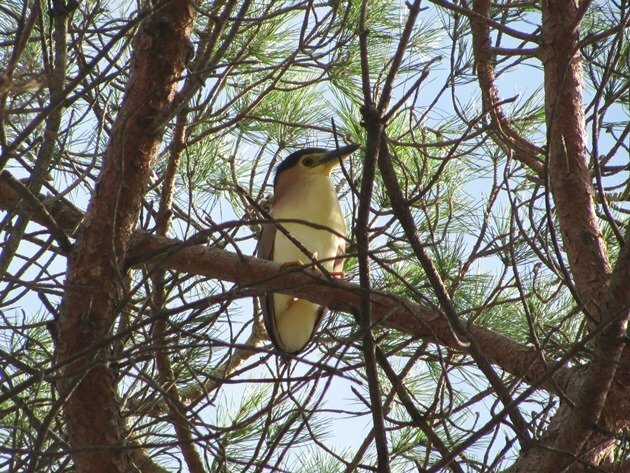 They asked if I knew of the Nankeen Night-Heron roost, which I did not until right then when I looked up! 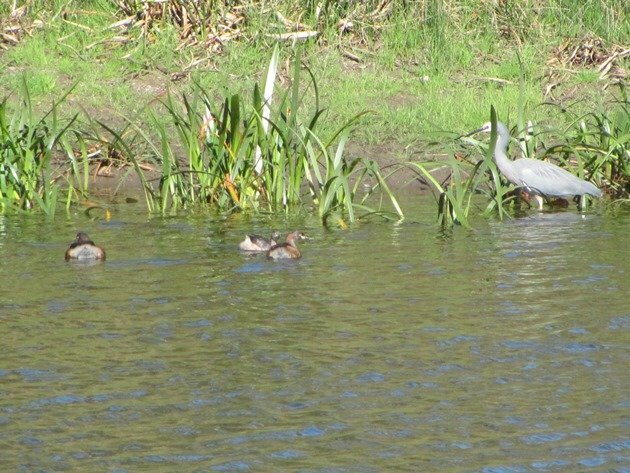 The men were local and informed me of a few birds that I should expect to see and I headed for the small lake nearby and found the three Australasian Grebes and the White-faced Heron. They had informed me of four Yellow-tailed Black Cockatoos in the area and although I did not see them then I did not give up. Several hours later after visiting the Botanical Gardens and observing four Eastern Spinebills and a White Ibis in the surrounding trees I finally found some Yellow-tailed Black Cockatoos. I am not sure if they were the same birds, because I had seven of them calling and in flight. There were Rainbow Lorikeets and an Eastern Rosella in that part of the park as well. Eastern Park currently has a lot of Pied Currawongs present and they are extremely vocal as they go about their business! They don’t stay still for long and they were doing a lot of hopping about on the ground and then up onto posts. I wandered back along the coast in the afternoon with Grey Fantails flitting among the trees and I waited in one of the shelters for Grant to collect me. It was a cold end to the afternoon and as we headed back for Melbourne we dropped in at Avalon Beach to see if we could see the Banded Stilt and Red-necked Avocet. Sadly by 6pm it was already dark and we only observed Red-capped Plovers and Silver Gulls. Maybe they have moved on or maybe they go somewhere else on dusk. 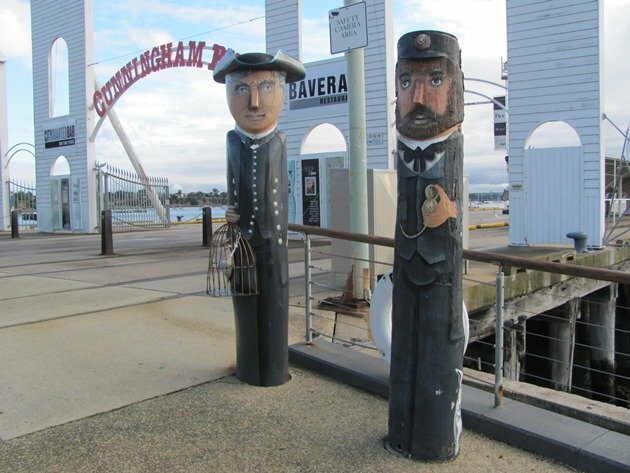 The walking around Geelong is easy and fruitful, so if you get a chance to visit and you have children to amuse then you can set them the challenge of finding all of the painted rabbits on the bollards!